THE BOARS ARE BACK! But watch out, because this time they're not only bossy, selfish, and stinky, they're hungry, too! If you thought Boris, Morris, Horace, and Doris already had bad manners, wait until you see them concoct a Massive Pudding. And if this pudding sounds horrible, the ingredients will leave you speechless! 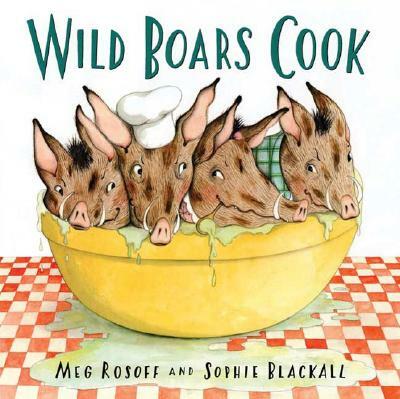 Meg Rosoff and Sophie Blackall team up again to delightful results in this companion book about the beloved disgusting wild boars. The wild boars have established themselves as forces to be reckoned with, and this second installment will not disappoint--it's laugh-out-loud funny!